Now we are announcing our next speaker. 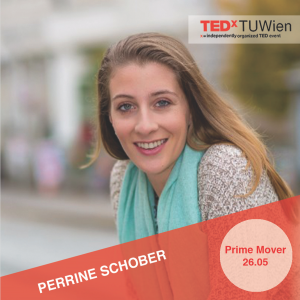 Perrine Schober is the founder of SHADES TOURS, Vienna’s unique social business employing homeless people to become alternative tour guides. The 33-year-old businesswoman studied Tourism Management in Germany and worked for different NGOs, consultancies and multilateral organisations, before launching her own social innovation. She will speak about innovative and creative business models that focus on the strengths of their employees rather than on their weaknesses and thereby include vulnerable edge groups into society and into the labour market.